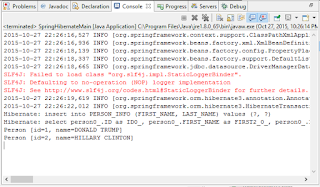 I wanted to use SQLite as an object relational model (ORM) database for a Spring Hibernate Java application. It turned out to be relatively simple to achieve. This post shows a simple example illustrating the project configuration, SQLite table creation, Java object definition, saving and retrieving a Java object into/from the database. The example project structure is shown in the screenshot below. The following listing is an example pom.xml file. Note that Hibernate, SQLite and Spring ORM dependencies have been appended to the dependencies element. The Spring Java application's context configuration file is located in the /path/to/project/src/main/resources/META-INF/spring/app-context.xml file. The beans SessionFactory, TransactionManager and the DataSource should at least be defined in the file as shown in the listing below. Note: In this example listing, we configure Spring to scan for additional components under the package namespace com.dom925.demo.spring. 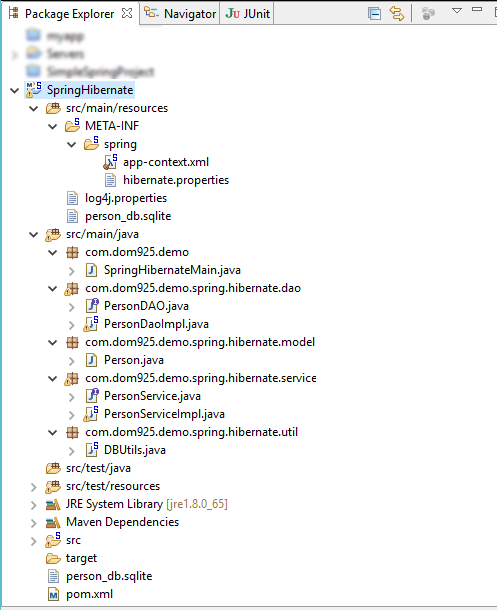 In this example, some of the Hibernate data source's JDBC properties are defined in a separate file /path/to/project/src/main/resources/META-INF/hibernate.properties file, as shown below. 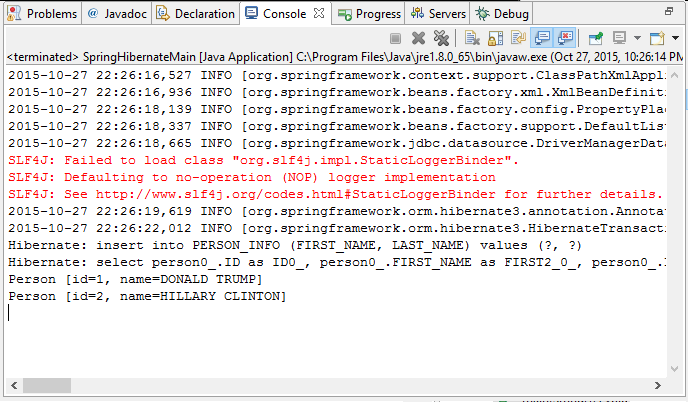 Note: this example configures Spring to use a SQLite database named person_db.sqlite. Since the path is not defined, it will be created in /path/to/project/ directory. At this point, the project configuration should be done. The next steps would be to write the Java classes and interfaces. In this example, the following classes are created. When Spring initializes the Java application, the @PostConstruct annotation in this file will cause the initialize method to be executed. This method will recreate the SQLite database and table each time you run the application. "VALUES " + "('DONALD', 'TRUMP')"
Now we define the plain old Java object POJO class that we want to associate to a SQLite database table. Note II: the annotations @Column specify the database column name, and @Id define the primary key. This interface defines the interface for accessing the Person data. This implements the interface defined by the PersonDAO.java file. Note the use of the Spring @Repository and @Transactional annotations for database related activities. This file defines the interface for a service to access the Person data. This is an implementation of the interface defined in the PersonService.java file. Note the Spring @Service annotation. Finally, the Java application's main method, which loads the application context, get a PersonService bean to add a new Person object to the database. Then print out the database contents to the screen. 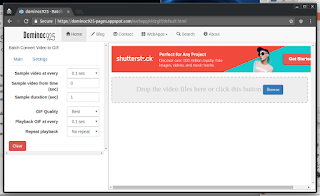 A zip file containing the example project can be downloaded here. Thanks for tutorial! It helped a lot.